The Musicality Master Class is a core part of Vienna Music Institute. The purpose of this class is to give every student an opportunity to play often in front of many people, to develop their performance ability and reduce performance anxiety. Every student will play a current working piece. VMI teachers will give helpful comments on each student’s performance, focusing on musicality and performance practice. Students are invited to play even if they do not feel their piece is ready. Even if a student has no piece prepared to play, watching and listening to other students play and hearing the faculty’s comments make for a valuable learning experience. It is important for students to attend these classes regularly so that we can keep track of each student’s progress. It is also crucial for parents to attend in order to watch, and to have the opportunity to discuss with us how your child is doing. We want to give every student as many opportunities as possible to perform and develop their skills in preparation for future competitions, auditions, and concerts. 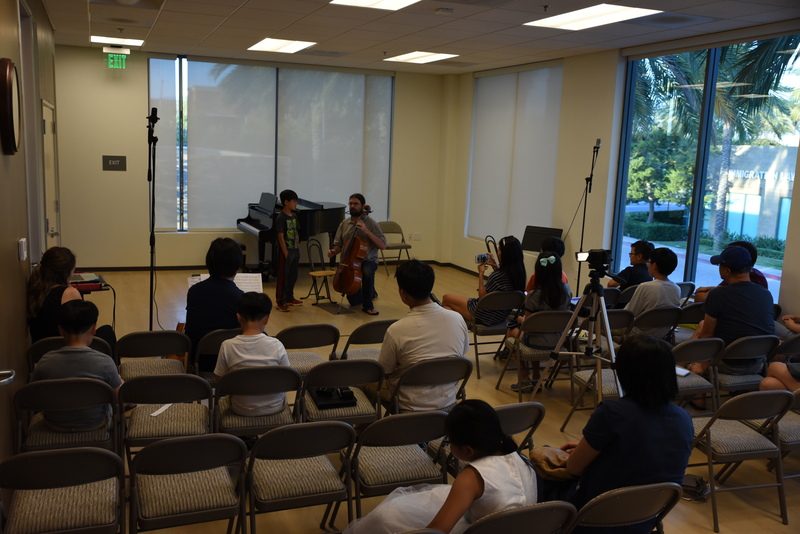 In the weeks leading up to Certificate of Merit, SYMF Competition, and Irvine School District Honor Orchestra auditions, we give master classes every week for all instruments to help students prepare intensively. Each year, we are amazed and happy to see how significantly every student who participates in the classes improves each week. As a result of this strong preparation, 20 to 30 of our students typically win SYMF competition each year. During the rest of year, classes are offered for different instruments on a rotation; students will have the opportunity to participate in a class approximately every three months.